In this article I am going to discuss the Low Voltage circuit breakers. So the first question which arises is that why are the low voltage circuit breakers known so? This is because they operate on low voltages, and the threshold voltage for their classification is 1000 volts. The circuit breakers which operate on voltages less than 1000 volts are known as low voltage circuit breakers. On the other hand, high voltage circuit breakers are completely opposite to them which will be discussed further in the next articles. Buck Boost Transformer comes under the class of transformers whose main function is to alter the amount of voltage being received by various alternating current appliances and devices as per their requirement. The uninterruptible power supply (UPS) technology, being widely used mostly in the computer industry, and the technology used in the tanning beds are based on the buck booster transformer technology. If a device or piece of equipment receives the amount of voltage greater or less than its requirement then there are chances that it may get damaged, overheat, show poor performance and last but not the least loose its functioning much before time. So to avoid all these things from happening to our device it is advisable to use the buck-boost transformer tech. 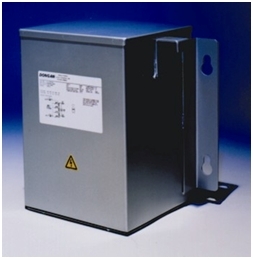 Voltage circuits requiring low power voltage such as control, lighting circuits or applications running on 12, 16, 24, 32 or 48V are also liable to be powered through buck boost transformer. The transformer’s capacity is mentioned on the nameplate in the form of kVA rating. “Does the new standard , require the panel builder to supply only ,the same branded circuit breakers ,which were used on the type tested assembly in their client panels ? New IEC 61439: what impacts for you today?